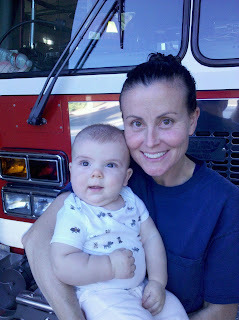 My not-so-little-anymore nephew got to visit the Fire Station recently and hang out with the station Engineer (aka his Momma). He is adorable, and I can see him growing up to be a big fireman! Many a little boy's dream come true to be able to be around fire trucks.